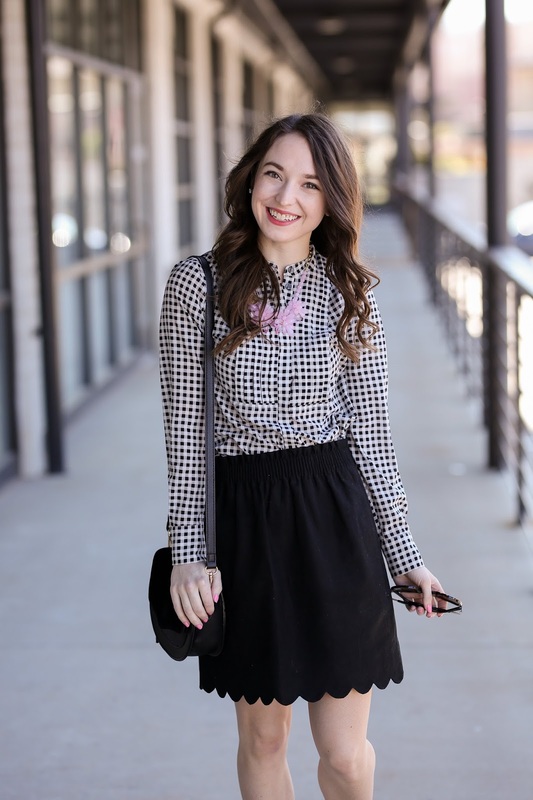 My favorite work skirt (that I already have in several colors) is now available with a scallop hem! My favorite work pants are as well, but they unfortunately do not come in petite sizes, and were a little long on me. I have the regular hem version of this skirt in black wool (that I featured in my Winter Workwear Capsule Wardrobe), but this one is a linen-blend material, perfect for work in the warmer months. These heels are also a work favorite of mine, they don't even really feel like heels. Even on days where I walk around a lot during work, I think they are the perfect height! I love this skirt!! I totally need it for work. Such a fun spin. 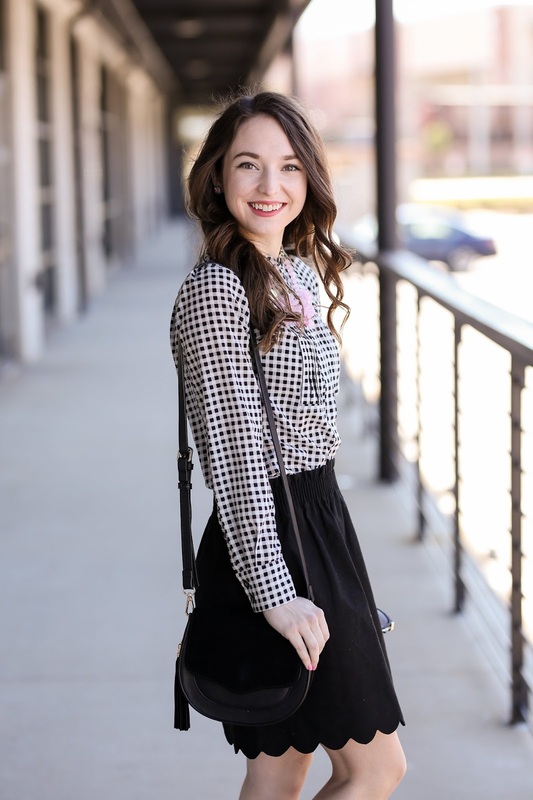 Oh my gosh, the scallops on the skirt- too cute!